Acura is launching the “ILX Total Control” experience on Facebook Instant Games, available to play on Facebook and Messenger. “ILX Total Control” features the refreshed 2019 ILX performance sedan and enables gamers to take the ILX on an action-packed drive with a tilt of their phone. A tap on the screen launches the ILX into an interactive video experience that demonstrates how the 2019 Acura ILX is quick to react and will move in whichever direction the phone spins. Tilt the phone to the left, and the ILX power-drifts to the left. Spin it all the way for a 360-degree turn, or quickly move it upward for an awesome jump. There are many Easter eggs hidden in the game, and users can discover new moves as they interact with it. They can also share the experience with friends. Consumers can access the Instant Game on their phone through a link in their Facebook feed or by searching for “Acura ILX Total Control” on Facebook and Messenger. There is also a web version of “ILX Total Control” that can be accessed outside of Facebook. MullenLowe created a 20-second teaser video for the game. 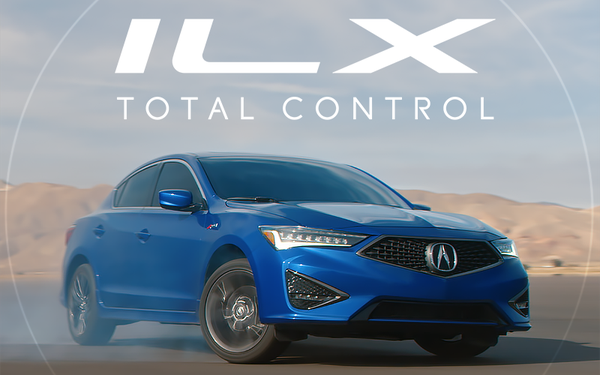 Launching “ILX Total Control” on Facebook’s Instant Games platform allows Acura to "seamlessly launch a full-screen interactive experience inside Facebook," says Jessica Fini, social media manager, American Honda. Acura is Honda's luxury division. “This way, modern interactive web technologies like HTML5 and WebGL can be incorporated for a quickly accessible experience,” she says. And users can tap one of Acura’s ads in their Facebook feed and seamlessly launch the “ILX Total Control” experience inside Facebook. The Acura ILX is the gateway vehicle to the Acura brand, bringing in the most first-time Acura customers and the youngest buyers, who are more likely to enjoy gaming than older customers. The brand introduced an Instagram activation for the vehicle last month. “Both Acura ILX campaigns tap into the native functionality and user behavior within the platforms," Fini tells Marketing Daily.